Superheroes getting old and doing house hold work like a normal humans. Lesya Guseva an artist which is Russian based create illustration of superheroes getting old and doing house hold work. An artist has managed to show the real day to day life of human through superheroes which is relevant to normal human beings. Ever imagine our superheroes getting old and living a normal life like ours. 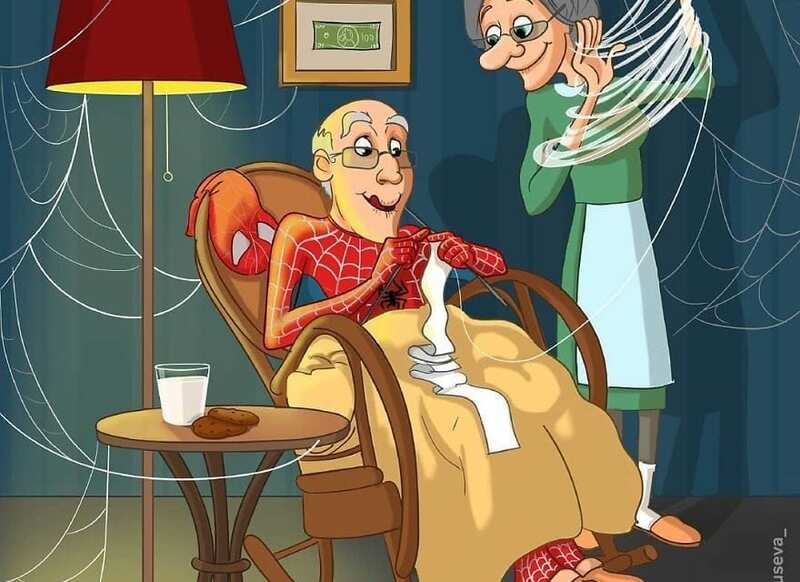 This artist has created an art by which we can imagine our superheroes doing normal work in their old age. We are very found of them and we like to watch their movies again and again but never imagined what would be their daily routine in life. #1: Batman is sleeping little early.